Stairs and front steps are not meant to be avoided and feared, but for many people, this is an unfortunate reality. Your environment should absolutely adapt to your needs, and with the indoor and outdoor stairlifts from Able Care Group, your home or business in Monmouth County could once again meet your abilities. 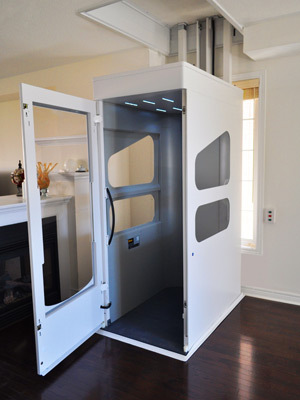 From vertical platform lifts, to commercial and residential elevators and ramps, we can ensure that your business or house becomes a safe place to navigate. Find out all that Able Care Group can do for you, and contact us today to get started! Stairs can become a hazard or an obstacle for many of us based on our abilities, but this shouldn’t be the case. 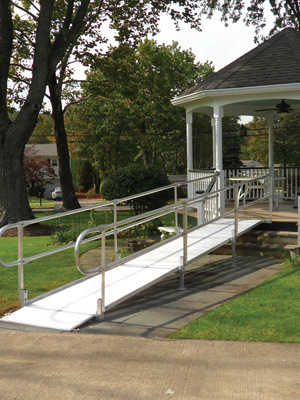 Create new opportunities for mobility with commercial ramps, aluminum ramps, and portable ramps from Able Care Group. 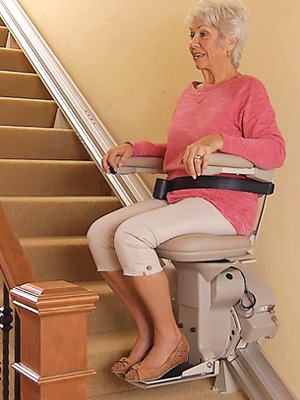 If you find yourself avoiding the stairs in your home, or feeling a sense of fear from potential falls, a stairlift can be the mobility solution to get your life back on track. 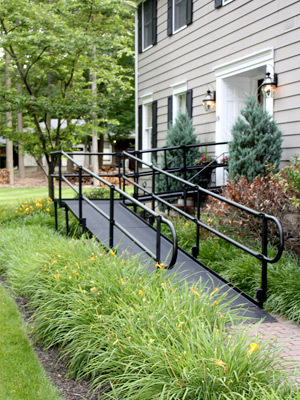 Learn more about our straight rail, curved rail, outdoor, and indoor stairlift options. 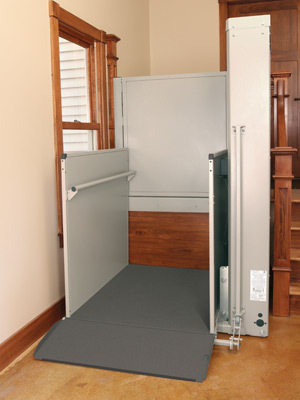 A platform lift can make a significant difference in your life, the life of a loved one, or for anyone with different mobility needs. Able Care Group, serving Monmouth County, is able to install the best in regular or vertical platform lifts for your home or business. Help accessibility become easier, and give our team a call. With an elevator for your home or business installed by our mobility solutions team, overall accessibility is sure to improve. Able Care Group works with the best elevators and technology on the market, and can install the exact type of residential or commercial elevator you need. Able Care Group features a number of pre-owned equipment options that you can purchase for a home or a business, such as stairlifts and ramps. This is a good solution if you’re looking to save on costs, without cutting quality.